... No he ate canned spinach. Is it any wonder why eating your greens got a bad rap ? Our gardener says backyard gardening and growing spinach go hand in hand. 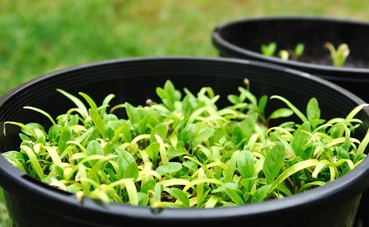 This cool weather crop is easy to grow ... it must be he can grow it ! ... starting seed directly in the garden soil can happen before the last frost. ... a head start in the spring or what ! 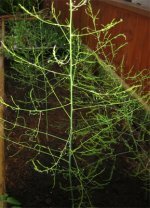 ... fall and winter crops plant from mid August on when fall and winter gardening. ... the spinach just likes cooler garden soil than the rest of us. and a compost rich garden soil that is slightly acidic. ... will satisfy his need for food. Succession planting ... a short row every two weeks will create a steady spinach supply. 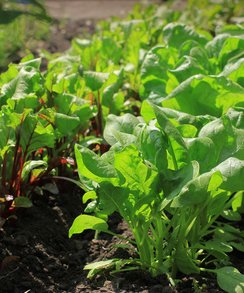 Cool weather discourages most common garden pests from lunching on the spinach plants. Garden slugs and snails are an exception ... they can make a quick meal of these tender plants. How does a gardener deal with these slimy creatures ? ... boards, unused containers and any other things slugs will crawl under and call home. ... others use organic slug bait. ... if the seed package says slow to bolt and disease resistant the gardener should be good to go. ... the local gardening supply shop will know which seed variety is best for the growing area. Smooth or savoy leaf spinach ? ... as always the proof is in the pudding ... the gardener will decide what she likes ! 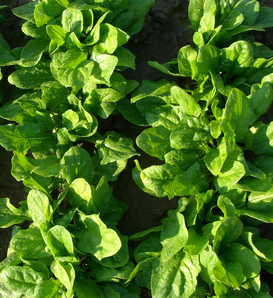 Smooth leaf spinach ... great in spinach salad. ... named after the city in Washington where it was developed ... great on the rainy coast. 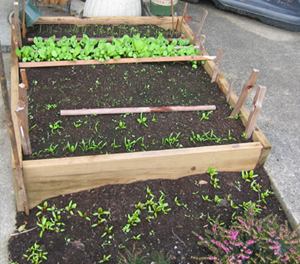 The garden plot, in the raised garden bed or a container vegetable garden growing spinach is easy. ... a great location for growing spinach in containers .. maybe even in mid summer ! 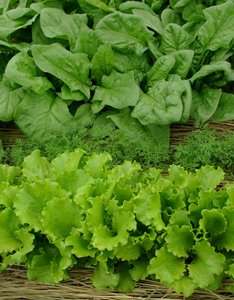 Seed to vegetable plant spinach likes structure and routine especially watering. A sudden change in moisture from lack of irrigation and a little neglect will cause the vegetable plants to bolt. Bolting is the natural process in growing vegetable plants of going to flower and seed. ... That is the way it goes in the backyard garden. Growing spinach has always been a favorite in our gardeners spring garden. ... our other garden buddies.